TORONTO- A total of 16 Canadians were selected during the 2014 Major League Baseball First-Year Player Draft including 13 today. Twelve players selected are either current or former members of Baseball Canada’s Junior National Team program. Baseball Canada would like to congratulate all Canadians that were selected over the past three days. 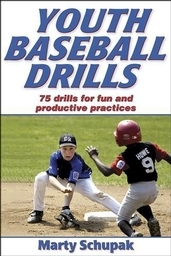 Use Youth Baseball Drills to develop players’ understanding, skills, and love for the game. The activities presented will help you make each practice more educational and fun.